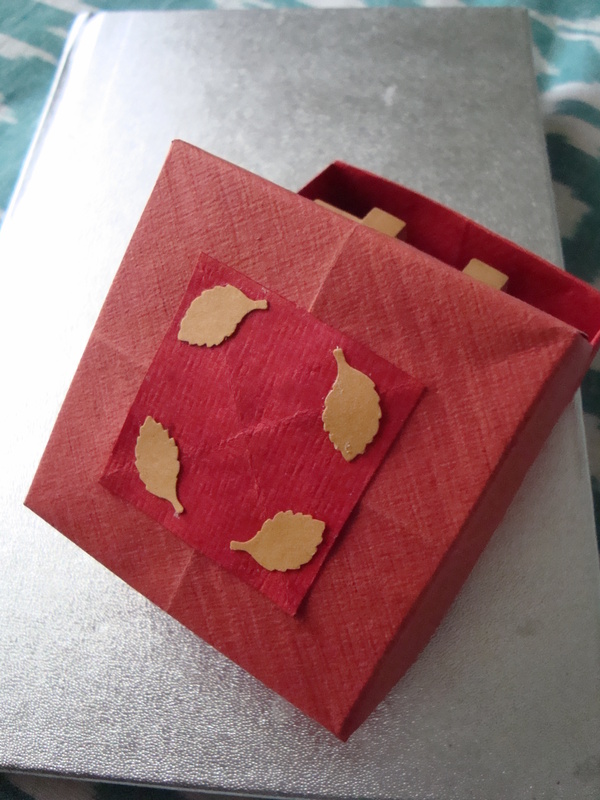 NOTE: Keep some extra paper to use for decorating the box lids and to make a flat lining for the boxes. 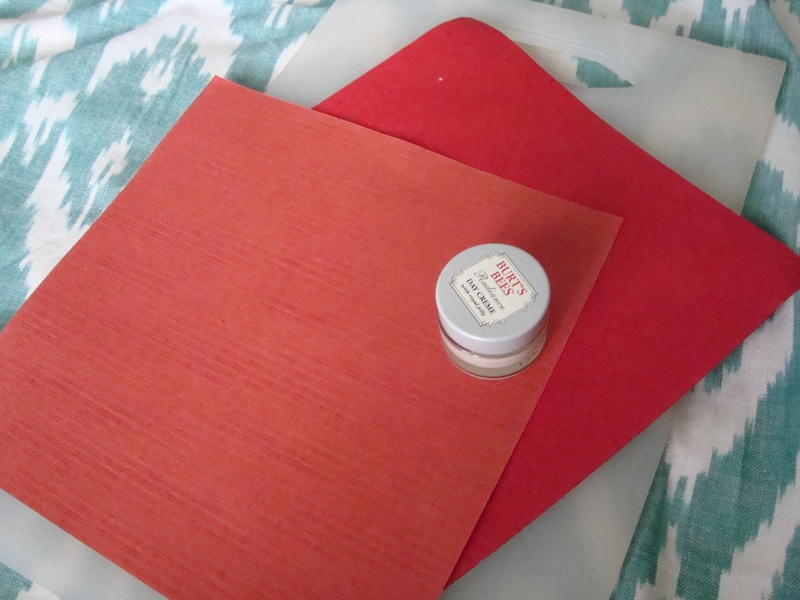 NOTE: Instructions are to make the lid, repeat steps with smaller paper to make the base. 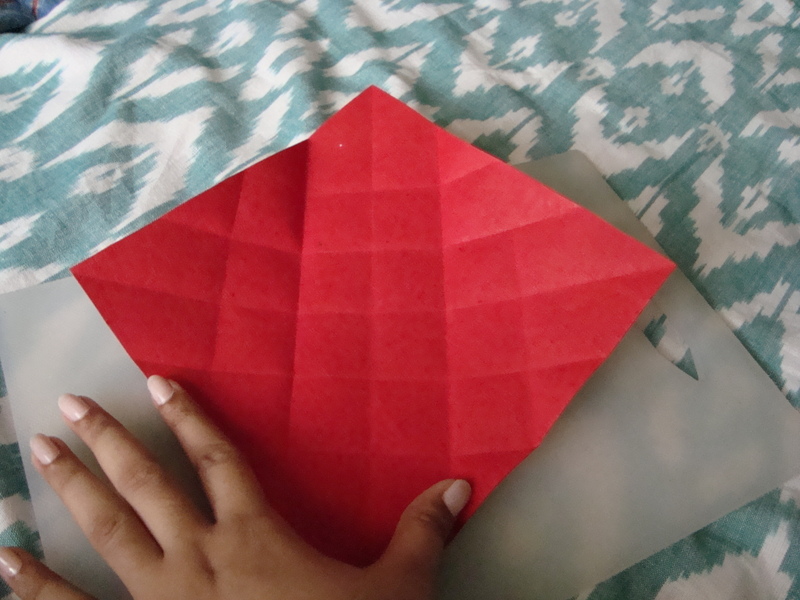 Fold the four corners of the square paper to the center.Crease.Open.This is fold #1. 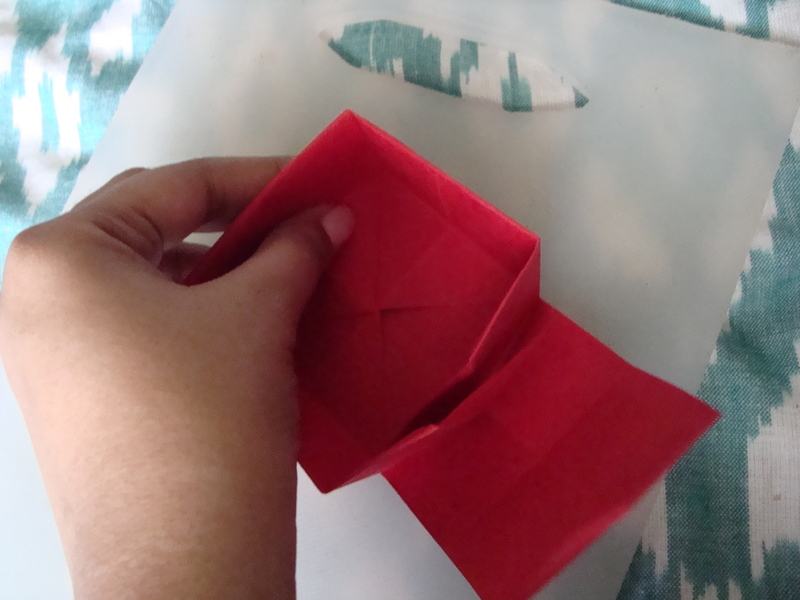 Fold each corner to Fold #1 opposite it. Crease.Open. 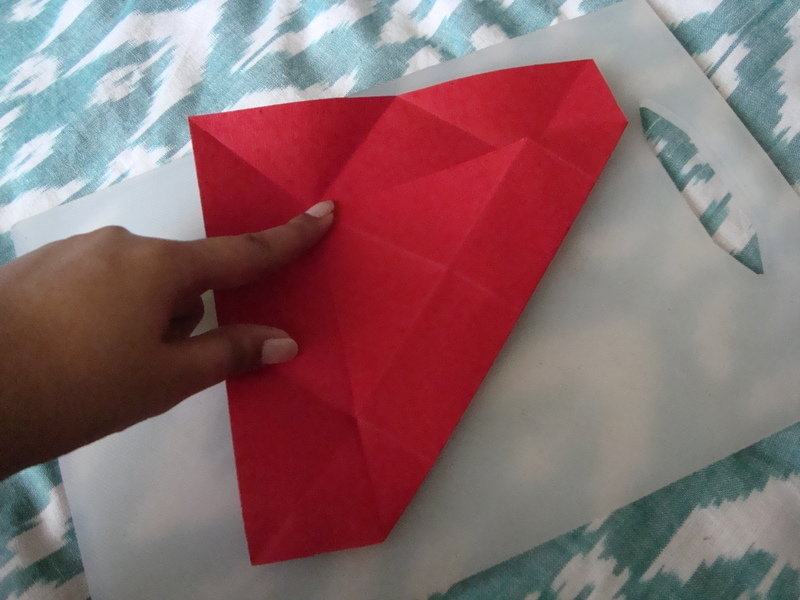 This is fold #2. 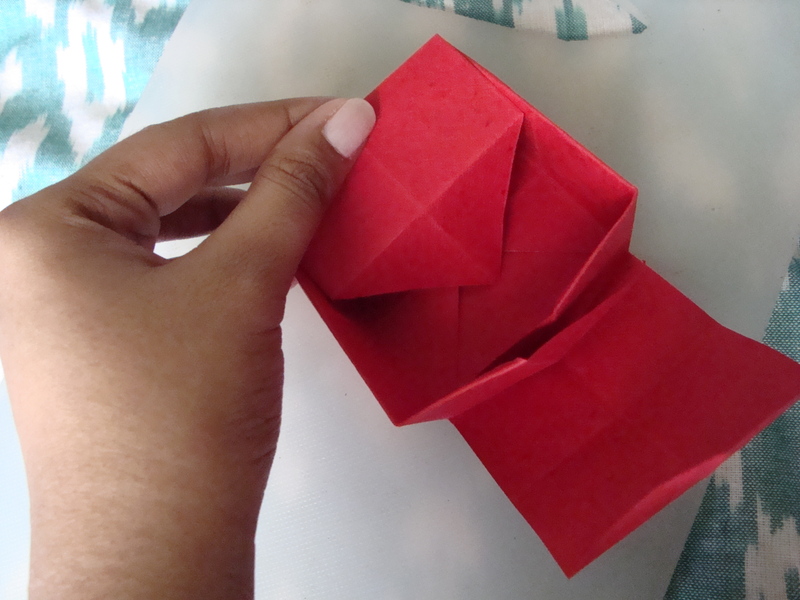 Fold corner to nearest fold#2. 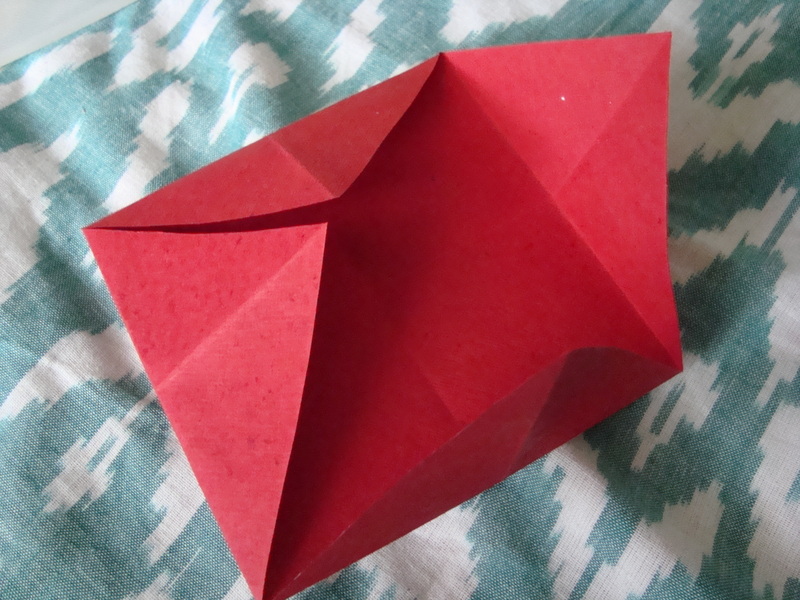 This is fold #3. 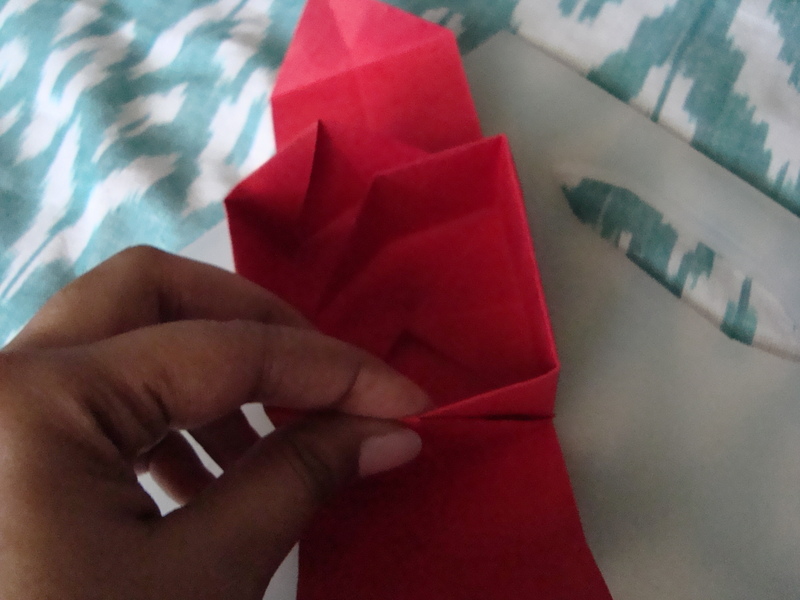 Fold inwards on Fold#1 crease line. Repeat for opposite side. 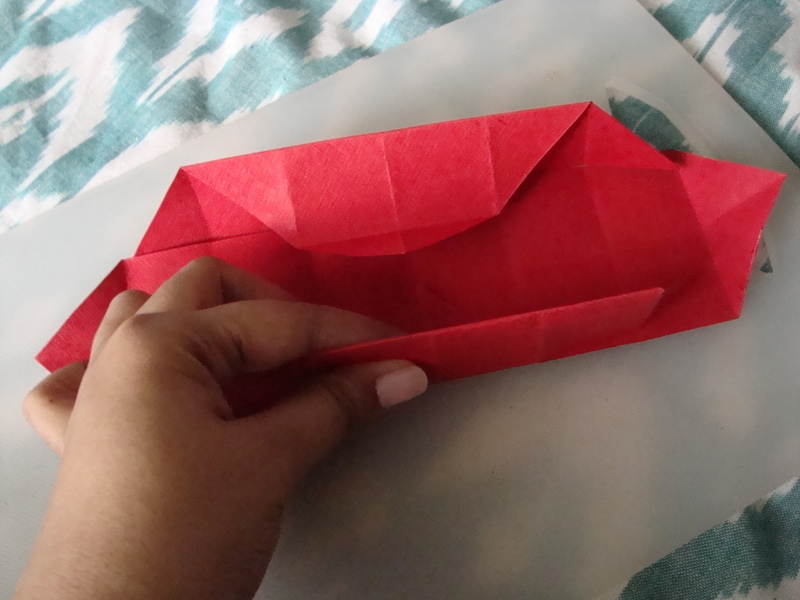 Lift the folded sides till they are vertical along fold#2. Join two opposite sides by holding them together as shown. From one side, tuck the loose flap in. 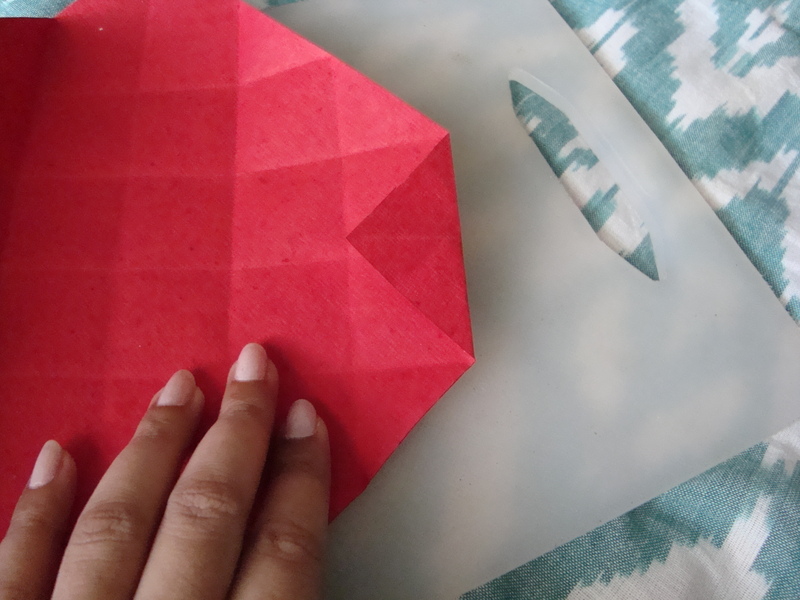 On both sides, tuck the flap in and flatten it till the points meet in the center of the box. 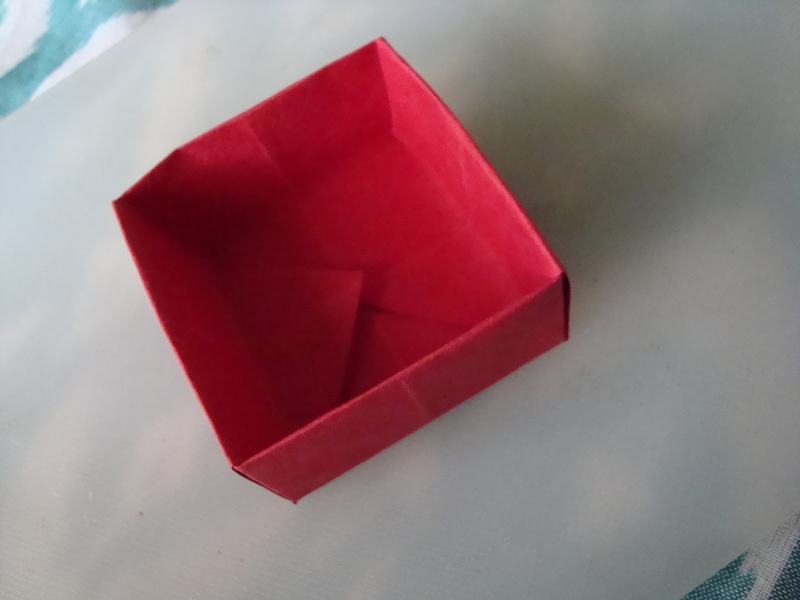 Your finished box should look something like this. 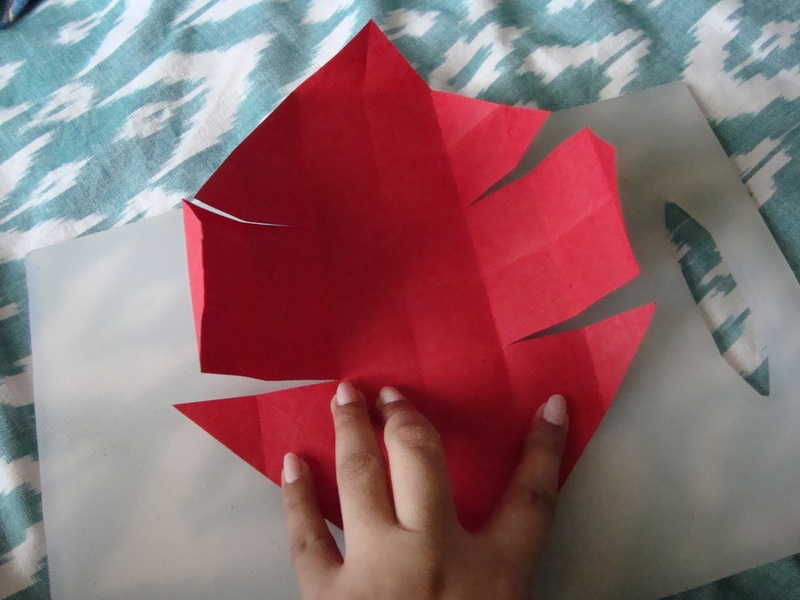 Decorate it to your heart’s content- sequins/paint/thread/paper cutouts/ stones/ ribbon/block print on it- whatever you want!! This box is adaptable to any number of looks- you can make it formal as I have or make it casual by using magazine/newspaper pages. Hope this tutorial is useful! Nice! 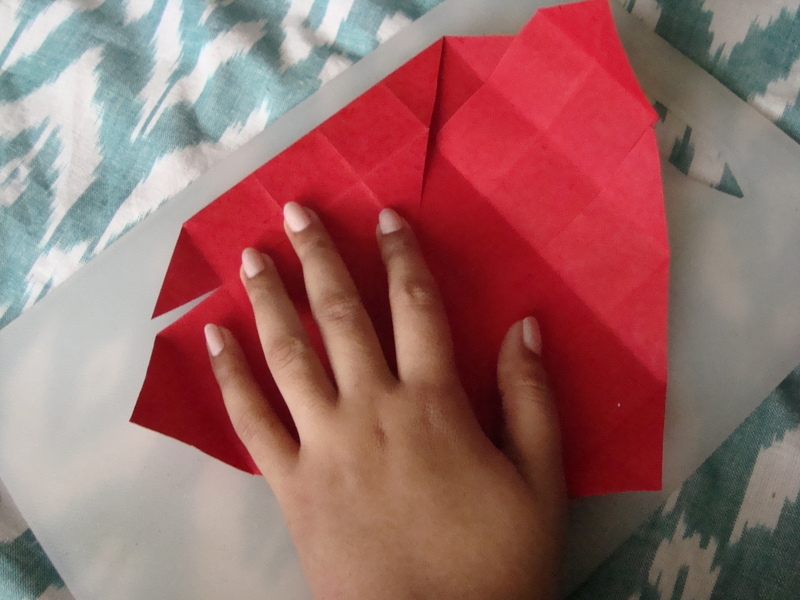 One of the best origami tutorials I have seen. Pretty WordPress theme on your blog, btw…. like the “stitching”. Is that a Premium WordPress theme or did you have it custom made? @Carol Thank you!!! The wordpress theme I use is Wu Wei. I created the background using an awesome tutorial I found on the internet. I will be posting about it soon..Keep checking back for more info.